Characteristics: Tempered glazing 10mm in thickness, floor rail guide, aluminum frames, polycarbonic joint covers, insulation with elastic gaskets and brushes. The FB-fr system is very similar to the FB-cr. The main contrast is that glass-boards in the Fb-fr are framed, for better protection from external weather conditions. The FB-fr glazed folding door system moves along an adjustable track rail driver which can be installed on any metal or wooden surface, or concrete, making it very easy and quick to install. A specially designed rainwater drainage system is also positioned onto the floor, which guarantees quick water runoff. The system’s panes move independently of one another, and can be stored on the opening’s side, without using additional track rail driver segments or deflection beams, entirely freeing up the opening. Its vertical profiles have been designed to fit together with male and female cross-sections, so that they perfectly couple with each other, covering all gaps very effectively. Bubble-shaped elastic gaskets are also employed, completely sealing even the smallest gaps, for a watertight and airtight result. On its horizontal profiles, water-tightness is achieved by using special synthetic brushes. Panes are moved with rollers which slide along an aluminum guide of 50x90mm in size. The bottom driver is 43x30mm in size. The maximum advisable pane size is 250cm in height, and 60cm in width, while the maximum weight must not be over 40kg. 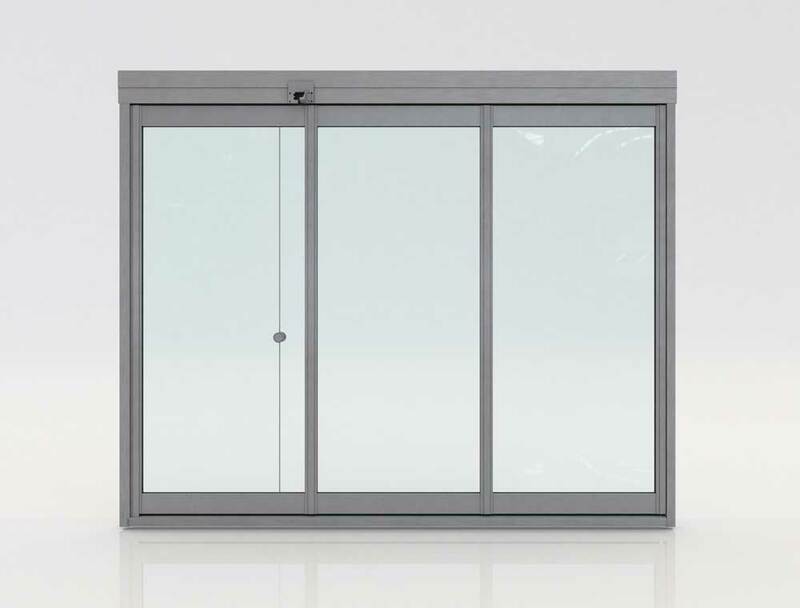 The glass folding door system Fb-fr is an ideal choice for the enclosure of balconies, verandas or gardens, as well as for restaurants, hotels and more. Minimalistic design: The metal parts of the system are very thin and discreet, offering an unobstructed view.